Can I participate in more than one event? 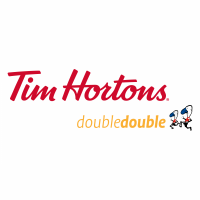 With the 5KM run on Saturday morning you can certainly Giv’er twice on Blue Nose weekend with the Tim Hortons Double Double. Challenge yourself with a 5KM walk or run on Saturday and then a 10KM, 15KM, Half or Full Marathon on Sunday morning. I registered for one race and want to switch to another, what do I do? Please return to your Race Roster account and change your race information to the race of your choice. There is a fee of $1.95 to transfer to another race. If you are transferring to a higher race distance (for example: 5KM to 10KM) you will need to pay the race price difference at time of transfer. If you wish to transfer your race registration to another person, please follow the same process. Refunds do not apply. PLEASE NOTE, ONLINE TRANSFERS CLOSE MIDNIGHT MAY 23, 2019. After May 23rd, all transfer requests will occur on race weekend at the Transfer Desk within the Race Kit Pick Up area between Thursday and Saturday. Transfers cannot be processed on Sunday morning. 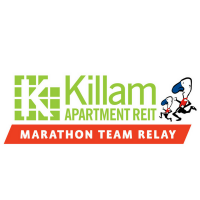 Applicable transfer fees will apply on race weekend; $10 for transferring down in race distance or person to person transfer and $15 to transfer up in race distance. If I have to cancel my registration, what is the process? Contact the Blue Nose Office to advise us of your decision. This notice must occur before 5:00 p.m. ADT, Tuesday, June 4th 2019. The Scotiabank Blue Nose Marathon will automatically “carry forward” the participant’s cancelled registration into the next race year! The Blue Nose is proud to provide this NO SWEAT REGISTRATION POLICY in lieu of refunds to current year registration fees. 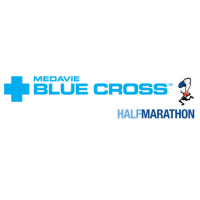 You can contact the Office by email at admin@bluenosemarathon.com or telephone at 902. 496.1889 during normal business hours. Registrations after 5:00 pm ADT Tuesday June 4th are not eligible for the No Sweat Policy. If you would like to reactivate your registration simply contact the Scotiabank Blue Nose Office. Blue Nose is proud to be one of only a few races that offer registration deferment to future years. However, as a non-profit, we must find a way to recover out-of-pocket costs to order items for each runner in two separate years (i.e. t-shirts, medals, bibs and chips). Please note there will be a modest fee of $20 to all adult no sweat registrants and a $10 fee will be charged for re-initiating a youth run registration. We appreciate your understanding and look forward to welcoming you back! Don’t forget, you can also take advantage of the Transfer Option noted above. How are Registration Fees Spent? Last year we spent approximately $1,003,000 to stage the Blue Nose Marathon. Here’s a look at the breakdown of those expenditures. As with many similar events the fees paid by registrants, which in 2018 amounted to $460,000 do not cover all of these expenditures. 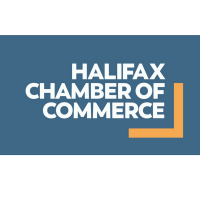 The rest of the revenue comes primarily from sponsors and grants from Halifax and the Province of Nova Scotia. Additionally, Blue Nose receives very generous in-kind contributions from suppliers and sponsors for products and services like: web site, security, marketing, printing, trucking, food, professional fees and advertising. These are expenses that the Blue Nose Marathon would typically have to incur to run the event in addition to those listed above. As well, our amazing volunteers step up in major ways that enables us to present a special event for Halifax. We really could not do it without them. They volunteer approximately 40,000 hours leading up to, and during, the weekend! They are truly dedicated to making this a world-class event. Blue Nose Marathon would like to thank all of its supporters for their incredible contributions. Feel free to express your gratitude to our many supporters and volunteers during the Blue Nose Weekend. During the race, will there be a secure area where I can leave my personal belongings? Yes, there will be a secure ‘bag storage area’. The bag storage services will open at 7:00am Saturday, June 8th for the 5KM participants and close at 10:00 am. The bag storage services will open at 6:00 am on, Sunday, June 9th. Upon returning to the Celebration Zone, come see us again to retrieve your bag. Please bring ONLY ONE bag for storage as space is limited. Sorry, no bag storage is available for the Youth Run on Saturday, June 8. Does the Blue Nose Marathon pay runners to participate? Since the beginning, Blue Nose has been an inclusive event that celebrates active and healthy living for both non-competitive and competitive participants including walkers, Nordic walkers, wheelchair athletes and runners. It is intended for people of all ages, interests and levels of fitness; and we celebrate everyone’s achievement equally. Blue Nose is about each of us completing events on our own terms – whether aiming for our own personal best, or simply running for the fun of it. Blue Nose does not offer cash prizes to the winners of any events, nor does it pay the expenses of runners to participate. Awards are given to the 1st, 2nd and 3rd winners by age and gender for each race. Is there any opportunity for young people to participate? 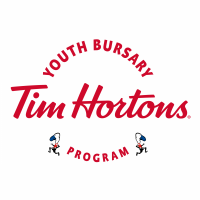 Absolutely, young marathoners have the option to participate in a 2KM or 4KM youth route. Two great options for new and experienced runners. The Youth Run is open to children and youth 15 years and under as long as the parent feels they can complete the run distance (2KM or 4KM). Youth 16 and older are encouraged to register for the 5KM unless there are special circumstances. Can I pick up a friend’s kit for them? Yes! We want to make the kit pick up process as easy and as efficient as possible, so please have the registered participant’s bib number (found on e-mail from timing company, Sportstats) and the name under which they registered for their race. You will also have to sign to confirm that you picked up that kit. A gun will signal the start of the race (Official Time). As in previous years, awards for all age groups will be based on Official Time. If you’ve heard about Official and Chip times, and aren’t sure what they mean, check out the FAQ question on that subject. Official and Chip Times – What’s the Difference? Official is the time from when the race starts (gun goes off) to when you cross the finish line mat (a chip records your personal finish time). 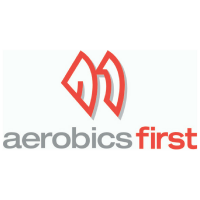 Official Time is used by organizations like IAAF, Athletics Canada, USATF, and AIMS and International Awards standards. Official Time is important for competitive runners – that’s why they like to be right up front. They can keep an eye on each other from the word go! As in previous years, the Age Group Awards for all events including the 5KM, 10KM, Half and the Full Marathon will continue to be based on Official Time. Chip time – think of it as your own personal time. Chip time starts when you cross the mat and activate your chip, and it stops when you cross the finish line mat. It helps when there are a few thousand people ahead of you. You can find out your exact walking or running time, but you don’t have worry if takes a couple of minutes to activate your chip at the start line. Is the Blue Nose marathon a Boston qualifier? YES, the Full marathon is certified which makes it eligible for Boston qualifiers. How can I purchase Blue Nose merchandise? We have plenty of Blue Nose “Giver Gear” for purchase. Take a look at what’s available through our online merchandise section or be sure to purchase items in the retail area of our Active Living Expo on Friday and Saturday, May 18-19 and Sunday, May 20 at the Celebration Zone! Are pets, child strollers and other equipment allowed on the race route? To ensure our race events are safe for all participants, please note that baby joggers and strollers, pets (whether on or off leash), roller blades, inline skates, scooters, skateboards, rickshaws and bicycles will not be permitted on the race route. Non-compliance with these safety rules will result in disqualification. Please Note: We only permit strollers and baby joggers in the 2KM Youth Run. However, for safety reasons, these participants must position themselves at the back of the 2KM start line by entering a separate chute on Brunswick St.
What accommodations are available that weekend? 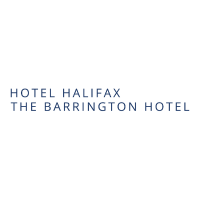 The official hotels of the Scotiabank Blue Nose Marathon are Hotel Halifax and The Barrington Hotel, both centrally located in downtown Halifax and readily adjacent to our Finish line. Both Hotel Halifax and The Barrington Hotel has extended a special rate for the Blue Nose Race Weekend. How do I contact the Scotiabank Blue Nose Office? How can I tell if my T-shirt will fit? Check out the shirt sizing chart below. You can still fundraise! Set up a personalized fundraising page if you are already registered for the run. 1. Select the charity you want to support from the list of Official Charities. 2. Click on “Fundraise” then the “Sign Up” button and enter your information. Please make sure you have already registered for the race. 3. Fundraise on your own or join a team and fill in your information. Note: The above steps will only register you for a fundraising account, not for the race itself! Should I create a Fundraising Team? How do I set up or join a Fundraising Team? Fundraising Teams should only be created for a charity if separate tracking is required, or if you would like to fundraise with your family or friends. All donations, whether you fundraise as an individual or as part of a team, will be directed to your charity of choice. Please contact your Charity for a pledge form. Complete the pledge form and deliver it (with cheques) to the charity directly. Please do not mail cash! Unfortunately, the Blue Nose Marathon registration system does not accept prior year’s usernames for fundraising accounts. If you wish to use a previous username, please do not complete the Username and Password section of the Charity Challenge page during your race registration. I would like to use Facebook to ask my family and friends to donate to my campaign – why is it not working? Once you have completed your registration, click here and select Sign In. Enter your previous year’s username and password and complete the fundraising registration process. I registered without the Charity PIN Code – can I get a refund? Please see information on this page. I registered for the Scotiabank Charity Challenge, but I have not received a confirmation email. Don’t worry! Not receiving this email does not necessarily mean that the registration was not completed. First, check your spam/junk email folder. Still nothing? Contact charitychallenge@bluenosemarathon.com and ask us to verify your registration. A Scotiabank Employee marathon program is available in each Scotiabank-sponsored Marathon market. 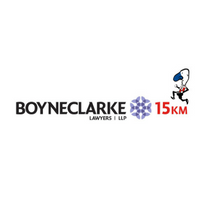 For more information please contact Darren Brackley at charitychallenge@bluenosemarathon.com or 902.237.6465. Are there age limits for the Doctors Nova Scotia Youth Run? What time do we need to arrive for the run? If you haven’t picked up your kit (shirt and running bib), you should arrive at the kit pick-up area before 9:30 am on Saturday. All runners must be at the start line on Sackville Street at 10:40 am. Can I run the 4KM event though I registered for the 2KM? Yes. Participants are asked to indicate their run distance when registering but can make their final decision regarding distance on the day of the event. 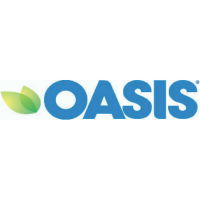 We recognize that for safety, age, or other requirements, an adult may want to run with their child and we leave this to the parent/guardian’s discretion. If there are no special requirements, we encourage adults to cheer for all youth run participants from the sidelines. Please note: parents who accompany their children on the run DO NOT REGISTER AS A RUNNER, however will have to complete a form within their child’s registration profile. The adult will receive a event bib to be worn while on the course, however, do not receive a T-shirt or medal. Nobody is permitted on the race course without an official event bib. Can my child walk instead of run? Yes. Children are encouraged to complete the route by jogging or jogging/walking; this is not a timed event. Can I take my younger child with me? Yes, as long as they are registered for the event. For safety reasons, parents with younger children in strollers must enter a chute for strollers only on Brunswick St, just south of Carmichael. Can I meet my child at the finish line? Spectators are not allowed to enter the finish line area unless they are already running with their children. This rule is in place for the safety of the children. The children will be directed into the Celebration Zone upon finishing and receiving their medals. Spectators/parents are encouraged to enter the Celebration Zone and meet their children at a pre-arranged meeting spot. How am I going to know where to meet my child after the race? After receiving their finisher’s medal, children are directed into the Celebration Zone. The Celebration Zone has been organized by “Coloured Meeting Zones” (Purple, Green, Orange and Blue). Within each coloured zone, the sections have been broken down alphabetically so runners can meet by the first letter of their school name. Please make sure you and your child know the colour zone and section where you will meet before heading to the start. For children not running with a school, please arrange a meeting area in the Celebration Zone with your child prior to the run. A floor plan and list of meeting areas will be available at the Kit Pickup Area. We have established a Lost Kids Area with a team of volunteers wearing specific shirts in the Celebration Zone. If parents and children are not able to find each other in the designated zones in the stands, they should go to the Lost Kids Area or find a volunteer wearing a Volunteer shirt. What happens after the run? Will food be provided for the children? All participants and family members are invited to the Celebration Zone for the post-run celebration. Refreshments consisting of water, juice and fruit will be provided for runners only. We then encourage everyone to go back outside to cheer on other runners as they cross the finish line. Please be mindful of not crossing the race course in front of runners approaching the finish. Portable toilets will be set up at the finish line and there are public washrooms at the Halifax Commons, near the water stop and in the Celebration Zone. My child’s shirt doesn’t fit; can I exchange it? Every effort will be made to provide the appropriate size shirt, however, quantities are limited and we regret that we may not be able to accommodate you. If there are shirts remaining at the end of the run Saturday morning, you may be able to exchange an unworn shirt for another size at the shirt exchange table by the registration area. To help you, a t-shirt sizing chart is now available both in this FAQ section and on our registration form. What precautions have you taken to ensure safety on the route? The entire route has many course marshals wearing volunteer shirts. At no time will a youth runner will be alone along the route. Medical Personnel identified by RED Volunteer shirts are also on the route. There will also be medics on bicycles patrolling the course during the race. What happens if my child cannot finish the race? There are designated vehicles that follow the race participants and they will pick up runners that are unable to finish and bring them to the Scotiabank Centre. If the child is not able to finish due to medical reasons there are ambulances onsite at the run. Where is the best place to take photos of my child? Citadel Hill provides an excellent vantage point for taking photos. Professional photographers will be snapping photos at the finish which can be purchased online (using your child’s bib number) at marathonphotos.com. In addition, photo opportunities are also available at the Celebration Zone with the Blue Nose Marathon mascot, Myles. What streets will be closed to traffic? CLICK HERE to view the street closures for 2018. CLICK HERE to view the parking bans. Where can I park during Blue Nose events? If you do wish to drive, there are several areas to park in the downtown core. The Scotia Square Parkade has over 1,700 parking spaces, with ample accessible parking. All parkade levels have access to elevators. The parkade is accessible 24 hours a day from Albemarle and Barrington Streets. *We are proud to share that Scotia Square will be will be reducing their weekend rate from $20 to $7 for the day (8am to 6pm)and $7 for the night (6pm to 8am) for that Saturday and Sunday. The Park Lane Parkade has over 440 parking spaces, nine of which are wheelchair accessible. All parkade levels have access to elevators. The parkade is accessible 24 hours a day from Annandale street. How do I receive free transit fare for Blue Nose events? Halifax Transit is offering free transit fare for volunteers and participants on all buses and ferries during Blue Nose weekend (excluding MetroX and MetroLink). Just show your race bib and they’ll get you to the start line!! If I ride my bike to a Blue Nose event where can I store it? Scotiabank Blue Nose Marathon in partnership with the Halifax Cycling Coalition is pleased to offer a complimentary bike valet service again for all Blue Nose volunteers and participants in Parade Square. I can’t run but would like to volunteer. How can I do that? Volunteers play a critically important role in the success of the Blue Nose Weekend and we are privileged to have such outstanding civic and community support for such a big time, world class event. We’ll need lots of helpers from registration to crowd control. If you can assist in any way, please check the Volunteer section to view a list of available positions. We expect we’ll require 1,500 volunteers to ensure a smooth operation. Where do I go on race weekend? Upon arrival for your shift, please sign in at the Volunteer Centre . It is critical that we know you have arrived. This includes start/finish line volunteers as well. If you are a race course sector volunteer please report to your Sector Leader on the course where you will be given your volunteer t-shirt and a safety vest, if needed. Where can I pick up my Volunteer T-shirt? When you sign in at the Volunteer Centre you will be given your t-shirt. Course sector volunteers will pick up their t-shirt at their sector. When is the Volunteer Centre open? *Hours are subject to change, final details will be emailed to all volunteers prior to race weekend. If for some reason I need to change or cancel the shift I signed up for, who do I contact? How do I contact my Volunteer Coordinator if I cannot locate my confirmation email? Send an email to volunteer@bluenosemarathon.com. I forget what job(s) and shift(s) I am volunteering for. How can I find that out? Visit the Blue Nose Marathon volunteer website and click on “Volunteers”. Our registration software allows you to email your assignments back to yourself by selecting the “Already Volunteering? Check your status” button. Am I guaranteed to be working the position I signed up for? What’s the best way to travel on race weekend? During race weekend parking downtown will be very limited and due to road closures, traffic may be congested at times. We suggest carpooling or using Halifax transit if at all possible. 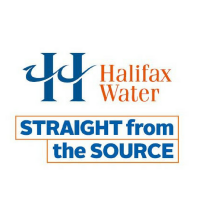 Our friends at Halifax Transit will provide complimentary bus and ferry services to all volunteers and race participants wearing a bib or using a volunteer transit pass. Volunteers are encouraged to utilize this to get to and from their shifts during race weekend. Where can I pick-up my transit pass? During race weekend, Volunteers may use their volunteer bibs to ride Halifax Transit free of charge. These can be picked up at the Volunteer Centre upon check in. Please note bibs are non-transferrable and are valid from Friday, May 18th to Sunday, May 20th 2018. I plan on biking to the event. Is there safe storage for my bike? There will be a free bike valet on Friday, Saturday & Sunday. Located at Grand Parade just across from the World Trade and Convention Centre. Yes, for volunteers working within the venue there will be a secure area at the Volunteer Centre. Please bring only one bag for storage as space is limited. Scotiabank Blue Nose Marathon however is not responsible for lost or stolen items. What are the benefits of volunteering with the Scotiabank Blue Nose Marathon? The atmosphere at the Scotiabank Blue Nose Marathon is incredibly unique. After volunteering, you will walk away from the event feeling not only happy for contributing, but inspired in a variety of capacities. Throughout the weekend runners and spectators will stop and thank you and you will receive recognition in more ways than you could ever imagine, but what will resonate is the pride you feel for taking part in the most anticipated community and family event of the year; the pride you feel for seeing the event come together thanks to the efforts of you and more than 1,500 other volunteers. What should I wear while volunteering? Each volunteer will receive a Scotiabank Blue Nose Marathon t-shirt to be worn during the event. In addition, all volunteers working outside in the Red Zone are required to wear an event provided SAFETY VEST. Please ensure you wear this on top of your clothing. This makes YOU more visible to motorists and easily identifiable by participants, spectators, and fellow volunteers. Will food be provided during my shift? The Volunteer Centre will be stocked with yummy snacks and drinks for easy access during your shifts. Volunteers who work more than 6 hours will receive a meal, more details on this will be available closer to race weekend. Race course volunteers will also find food and beverages within their sector. Is there an area where volunteers can hang out? Absolutely! The Volunteer Centre is available for our Giv’er Crew to hang out, mingle with other volunteers and grab some refreshments. This is also where you would pick up your volunteer t-shirt and volunteer bib before your shift. The location of the Volunteer Centre will be known once we have finalized our floor plan at our new venue for 2018. If I have any questions leading up to Blue Nose weekend, who can I contact? Your Volunteer Coordinator’s information can be found in the email confirmation you received after signing up. If you cannot reach your Coordinator, send an email to volunteer@bluenosemarathon.com.